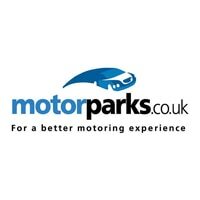 Motorparks sells new and used cars and vans across several dealerships in the UK. Customers will find a great portfolio of affordable cars at Motorparks dealerships, with models from iconic brands such as Jaguar. Motorparks operates in cities such as Bolton, Blackburn, Oldham and Preston, to name but a few. Whether you want to buy the latest Jaguar F-TYPE Convertible, an Abarth 124 Spider, a Fiat 500, or a Ford Focus, Motorparks has a broad array of cars for your needs. Motorparks dealerships also offer other services too, like MOTs, servicing, car finance, insurance and vehicle repairs. The company was acquired by parent group, Cambria Automobiles plc, along with several other top dealers like Grange and Invicta Motors. Under its different brands, Cambria Automobiles is one of the fastest growing automotive retailers. The group has a portfolio of over 40 franchises, and has more than made its mark on the motoring industry since establishing itself in 2006, having been nominated for several prestigious awards. Cambria Automobiles’ acquisitions continue to trade under their local, recognisable brands. Motorpoint is one such name, and the entrepreneurial spirit of Cambria Automobiles runs through each of its dealers. A Motorparks dealer can offer you high-end cars from brands that would make your neighbours jealous, such as Jaguar, Land Rover and Abarth. But you’ll also find popular economy-value vehicles to get you from A to B, with models from Alfa Romeo, Nissan, Ford and Fiat. The group also stocks a wide range of used cars, from brands like Audi, Aston Martin, Porsche and BMW. If you’re looking for something more economical, browse their selection of MINI, Toyota, Volvo and Renault automobiles. Motorparks caters to customers wanting to buy vans too, with new and used vehicles from Ford, Renault and Vauxhall.